In Kansas City, that story makes Alfredo Garcia smile a sad smile. Nearly 50 years later, he still misses “Tivo.” On late fall nights, like those now, air crisp beneath a starry sky, he hears his brother’s words. “Run, Alfredo! Run!” Alfredo didn’t run that night in the fall of 1967. He was 21, new to the country, and people were yelling and everything happened so fast and he didn’t want to leave his brother and then the gunshots came. Tivo Garcia fell. The brothers had run to the rescue of their 25-year-old teacher, Margaret Kindermann, who was being attacked by several youths outside Westport High School. She was five months pregnant — with Marlo. Tivo, two years older than Alfredo, led the way into the fight because he always led the way. Primitivo Garcia was strong and handsome, always his mother’s gentleman son and always his brother’s hero. The brothers had come to Kansas City, along with their mother and younger sister, from Chihuahua, Mexico.They were the last of the family of 10 children to arrive in America. The father, who ran a grocery store, had died five years earlier. Irene Mendez, the youngest of the bunch, said the older ones when they first arrived stayed with an aunt who already lived here. 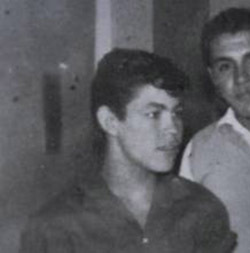 And on the night of Nov. 15, 1967, in the shadows of a street in Kansas City, she learned something else about the Garcia brothers: They were gallant. She was standing outside Westport High after class, waiting for her sister-in-law to pick her up. That’s when the muggers came along. Some were juveniles, others were older teens. One, who would eventually be the shooter, grabbed her purse. The others rifled through it, then tossed it back and forth, teasing her, before throwing it across the street. Kelso went to retrieve it. That’s when they grabbed her. They groped her. They ran hands up her skirt. She screamed for help. “I told them I was pregnant and to please leave me alone,” she said. The Garcia brothers arrived. It wasn’t Tivo’s first time as a rescuer. As a teenager in Mexico, he pulled an assailant off a man who was being stabbed. Tivo tossed one of the attackers aside and threw punches at the others. 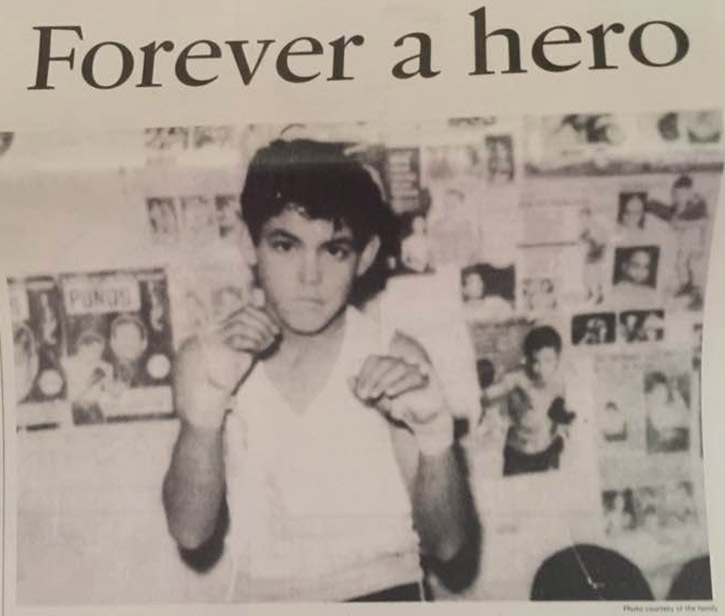 He had boxed in Mexico before an injury forced him to quit. “Shoot him! Shoot him!” one of the attackers yelled. Gunshots. The gang ran away. Kelso and Alfredo ran to Tivo. Alfredo told the teacher to call for help and said he would wait with his brother. “I didn’t know he could speak English,” Kelso remembers thinking. The phone soon rang at the Garcia house on Holly. Mendez, the little sister, 15, answered. Kelso told her what had happened. “Your brother’s a hero — he saved my life,” she said in tears. What happened that night has saddened Mendez for nearly 50 years. But she gets comfort, somewhat, from knowing that what Tivo did that night was who he was. For two weeks, the large Garcia family held vigil in Tivo’s hospital room, first at Kansas City General and later at St. Mary’s, some of them leaving only for work. In days to come, people lined up to give blood for Tivo. Police arrested the attackers. Donations poured in to help the Garcia family. Kelso visited Tivo and his family. Missouri Gov. Warren Hearnes wrote to Tivo’s mother. Tivo’s mother later showed a Star reporter a picture her son had painted. It was an oil of a festive Latin couple dancing. It was unfinished, a metaphor to her son’s life. She talked about her son wanting to get married, go to school, become a citizen and do good for his family. “He wanted to be someone,” Gregoria Garcia told the reporter. Alfredo Garcia said his mother was never the same after Tivo died. He thinks she felt guilt the rest of her days. “She was the one who said we should come here, for a better life,” Alfredo said. The story of Tivo Garcia is a tragedy that brought two families together, forever bonded by 10 seconds on a cold, dark street. The Kindermanns and Garcias visited over the years. On a recent day in his Kansas City, North, home, Alfredo Garcia broke out a large envelope of newspaper clippings. Nearly a half century has passed, but his pride in his brother is still fresh. He looks long at the old photos, including one of a dedication of an elementary school named for his brother. Another shows the crowded funeral. One thing that often gets lost in this story is that Alfredo ran with his brother that night. He was just as brave, but Alfredo always waves away such talk. He doesn’t want to talk about what he did. Nor does he want to talk about the attackers. He wants to talk about the good. Like what happened to his teacher after that night. She had that baby, and the little girl turned out to be Marlo Kindermann, who is also a teacher. Maybe she’s had boys in class like him and Tivo. And Kindermann named her son Tivo.